PRESIDENT Mnangagwa yesterday held frank and robust discussions with Matebeleland civic groups at the State House in Bulawayo, stressing the need for national cohesion and collective efforts in taking the country forward. In line with the new dispensation's thrust of collective engagement towards development, the meeting saw the President interfacing with some organisations that had previously been hostile towards the Government expressing commitment to contribute towards the development of the country. He heeded calls for engagement by the Matebeleland Collective, a grouping of non-governmental organisations, faith-based organisations, community-based organisations, trusts, savings clubs and social movements from Bulawayo, Matebeleland North and Matebeleland South. After the meeting, President Mnangagwa hailed the interaction which he described as the first of its kind in terms of social dialogue. He also revealed that he had not brought a prepared speech but came with an open mind to listen to the people's concerns. "What the Government would not want to hear are persons who would not want to make things better. I think we had heads in the sand, our heads are out now, I'm afraid you may begin to run away from us when we look for you," he chuckled. 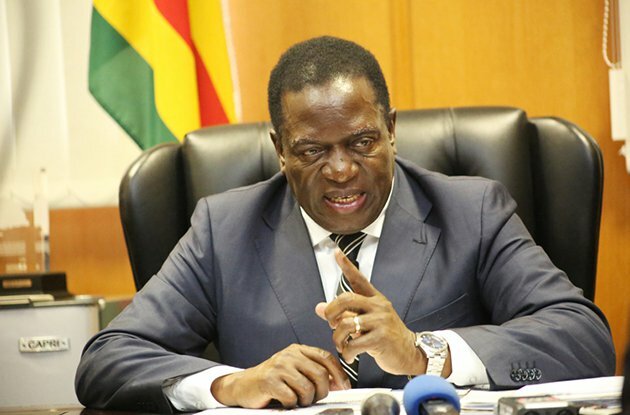 President Mnangagwa said after yesterday's meeting, the Minister of Public Service, Labour and Social Welfare Dr Sekai Nzenza is going to create a platform so that dialogue and interaction can continue and where necessary he would attend when invited. "Most importantly, let me congratulate the Matebeleland Collective for initiating and beginning this process which of course other sectors and sections of our community are going to follow but you are the leaders. I congratulate you and I say thank you," said President Mnangagwa. Members of the Matebeleland Collective follow proceedings during a meeting with President Mnangagwa at State House in Bulawayo yesterday Dr Nzenza said the Matebeleland Collective has set the pace for social dialogue. Speaking on behalf of Matebeleland Collective, Ms Williams who is also director of Women of Zimbabwe Arise (Woza) before and after the meeting hailed the President for lending them an ear saying the country's economy was a top priority for any sober thinking Zimbabwean. Giving introductory remarks before the closed meeting, Ms Williams said: "Realising that we could not continue to cry tears of destitution and despondency, we decided instead to raise our heads and out them together to develop a new approach to development work for the betterment of our region." Ms Williams said the country is stronger together and Matebeleland Collective is working to help citizens look ahead for hope and energy than looking backward with sadness.